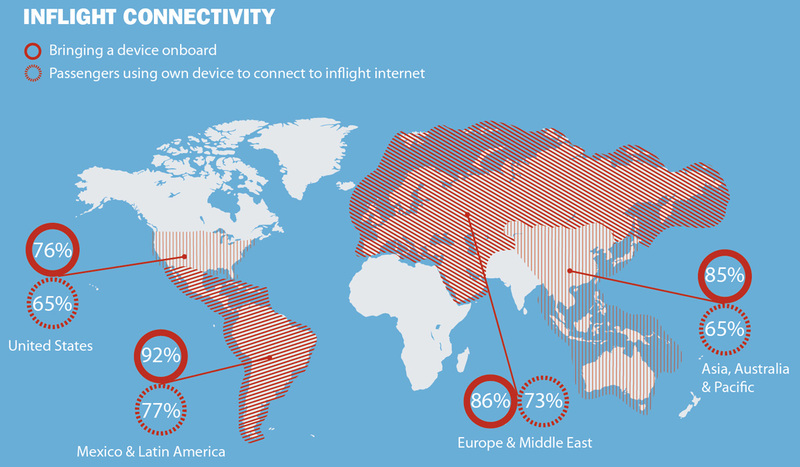 Passengers outside the USA are the keenest travelers on the planet to use in in-flight connectivity and are more likely to carry their own wi-fienabled devices on board, according to a global study conducted by Gogo. 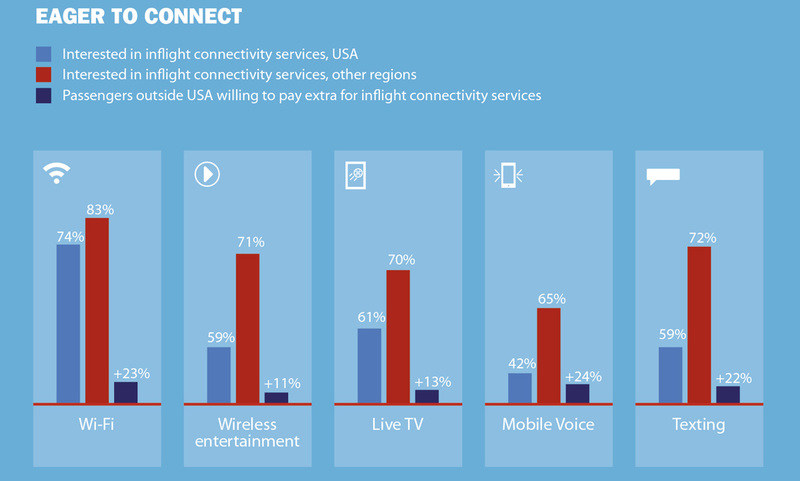 And, says the survey, non-US passengers are also more willing than US travelers to pay for inflight connectivity. The survey reveals that 83% of air passengers based outside the USA were interested in using in-flight wi-fi compared with 74% of US-based passengers. They were also more interested in accessing wireless in-flight entertainment, despite the fact that fewer connected aircraft are operating in the rest of the world. More than 20% of surveyed passengers said they looked for wi-fi when choosing an airline, a 4% increase on the figure revealed by last year’s Gogo study. The survey was conducted with participants from 16 countries who had taken a round-trip flight in the past 12 months.